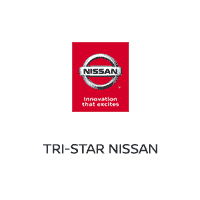 Come to the Tri-Star Nissan finance center when you are ready to purchase your next vehicle in Uniontown, Connelsville, Greensburg, Washington PA, and Morgantown WV. Even if you have poor credit or your credit score is less-than-perfect, we are happy to work with you and go over financing solutions that fit your needs. We offer new and used vehicle financing services for people of every budget. Why Finance at Tri-Star Nissan? It streamlines the car-buying process–you may be able to get a loan and drive your new car off the lot the same day! Take advantage of discounted interest rate options, vehicle specials, and programs. At Tri-Star Nissan, you can even get a loan with bad credit. We’re willing to work with you to get the best interest rate and loan terms possible. If you don’t have the best credit history, you can still enjoy all the advantages of a top dealership at Tri-Star Nissan. Our experts can help break down coverage options with you like Gap Insurance and more. Our friendly staff is dedicated to providing a positive customer experience. Calculate your potential monthly payments using our payment calculator. Save money on your next vehicle by trading in your current model–use or trade value estimation tool. More flexibility with vehicle choices, customization, and accessories options. Easier to finance a vehicle with a lower credit score than to lease. If you have a long commute or frequently drive long distances, you don’t have to worry about the mileage restrictions of a lease. You are free to modify and sell your financed vehicle as you please since you are the vehicle owner. If you have any further questions about our financial services, vehicle selection, or any of our other products and services, don’t hesitate to contact us at Tri-Star Nissan!